SAS is hosting their first ever Children's Literature Conference on the weekend of February 17-19, 2012. This conference is geared for adults who are interested in learning more about the inspiration for and process of writing and illustrating literature for children and teens. Four award-winning speakers will headline this event: Harry Bliss, Candace Fleming, Eric Rohmann, and Pam Muñoz Ryan. The conference opens with a reception on Friday afternoon, February 17th, and continues with four speaker sessions on Saturday the 18th. Optional half-day writing and art workshops will occur Sunday, February 19th. Mark your calendar to attend now! Conference registration (Friday/Saturday) is $125 ($115 for ISLN member schools) and Sunday workshops are $50 ($45 for ISLN member schools). ISLN members, remember you get a discount. Please click on the ISLN box when you register. Additional information and online registration is available at http://sasclc.sas.edu.sg. Register today to guarantee a place at the conference and/or workshops. ISS is interested in having Marc at the school to conduct some workshops. Is anyone else interested in inviting him and sharing transport and accommodation costs? My name is Mark Roberts, and I represent world-renowned storyteller and author, Diane Wolkstein. Diane will be in Singapore in September 2012 as a featured teller for the Singapore International Storytelling Festival. Diane's website is www.dianewolkstein.com. The story she would most like to tell is Monkey King: Journey to the West, which is what she will be performing at the Singapore Storytelling Festival. For more information on this epic see www.monkeykingepic.com. That said, Diane would be excited to perform any of her other storytelling programs, as well. For her full repertoire see http://dianewolkstein.com/about/storyteller/#repertoire. Diane's programs are best suitable for middle and high schools. "Diane Wolkstein is one of the greatest storytellers in the Western world." "Diane Wolkstein's Monkey King takes us on a spectacular journey! It's funny, human and transcendent." "You brought my culture back to me in a fuller way. I thought Journey to the West was just a story. Now I can appreciate that it has many profound truths." Diane Wolkstein is one of the world's most acclaimed master storytellers and mythologists. She is the award-winning author of 23 award-winning books of folklore and has performed to sold-out crowds on six continents. Whether recounting folk or fairy tales to rapt children and families at parks, libraries, and schools, or wisdom stories and epics at some of the world's most prestigious museums, festivals, and performance venues, Diane enters and speaks from the heart of each story she tells. Her unwavering belief in story and its potential to transform people's lives have led her to occupy the forefront of the modern storytelling movement since 1967, with New York City Mayor Michael Bloomberg recently naming June 22nd of 2007 "Diane Wolkstein Day" in honor of her 40 years of storytelling for the people of New York City. Journey to the West, China's most famous epic, is a fun and adventurous tale of the impetuous Monkey King who sets out in search of immortality and learns such extraordinary skills that no one: not the Sun, the Moon, nor the 28 Constellations, can defeat him. After Buddha places a five hundred year "pause" on him, Monkey King agrees to accompany and protect the pure-hearted, determined Tang Priest on his 10,000 mile pilgrimage from China to India. Together they struggle not only with demons, ogres and lusty women, but also with one another, as they seek to bring back the sacred Buddhist scriptures to relieve the suffering of their people. Diane's passion and commitment to Journey to the West have led her on numerous research trips and tours across China, Taiwan, India, Australia, and North America. Recent highlights include performances of Journey to the West at the American Museum of Natural History, Australia's National Galleries in Canberra and Melbourne, the Asia Society in New York, the Fulbright Foundation in Taipei, the Rothko Chapel in Texas, New York University, the National Taipei University, America's National Storytelling Festival, the Clearwater Festival, as well as countless libraries and schools throughout the world. 2012 bookings already include the Singapore International Storytelling Festival in September, San Francisco's Asian Art Museum in May, and a tour of Southeast Asia in February and March. A book publication of Wolkstein's re-telling of Journey to the West in English is also in the works. The performance of Monkey King requires minimal logistics: An auditorium with a stage or a suitable gallery-style floor space, a basic speaker system, two microphones, lighting, a handful of stage props (a rug, a stool, a gong) is all that is needed to bring this inspiring journey to life. The telling is aimed at adults, but can also be tailored to suit a family audience with children, if the occasion calls for it. What truly sets Diane apart are her spellbinding performing gifts, as well as the depth of knowledge and research she devotes to the stories she tells. Not only does she tell her signature Haitian stories with infectious tenderness and bravado, she spent seven years visiting the Haitian countryside and recording the stories of the people. When she tells Aboriginal stories it is because she has visited their land, met the Australian Aboriginal storytellers, and has been granted special permission to tell these stories. Not only has Wolkstein told the great Sumerian epic of Inanna at the British Museum and The United Nations, she spent years working with one of the world's most pre-eminent archeologists, Samuel Noah Kramer, to create the definitive telling of this great story. Please find attached an information sheet about Journey to the West, including a story summary, review quotes, bio, recent performance highlights, and website links, as well as a recent press photo and article on Monkey King. Australian author George Ivanoff will be visiting Singapore during April 2012 and will be available for school talks on April 13. George is best known for his Gamers books suited to readers 11+ and he is most appropriate as a speaker for years 5-8. George is passionate about promoting reading and writing to students and his talks focus on the joy of these pursuits. He charges AU$200 per one hour session. For more information about George and his writing, visit his website (click on the image). For more information about the Gamers books, click here. Further to Katie's October 4 post , Phillip has advised that he will be visiting Singapore on 23 to 25 November. A great opportunity for you students to hear an award-winning author in person! For more details email phillipgwynne@ozemail.com.au . My name is Morgan Schatz Blackrose. I am a storyteller and author from Australia and will be touring International schools in Singapore in March 2012. I have attached a PDF leaflet with more detailed information about my storytelling philosophy and what I have to offer your school community with this email. Storytelling Concerts tailored to students from Preschool to Year 12: Class sessions through to assembly performances. For one day storytelling concerts or multiple day residencies, fees are scaled to the enrolment numbers of the school. Storytelling-Based Arts Residency fees are tailored to the budgets of individual schools. In September 2010 I delivered a paper at the International School Librarians Conference in Brisbane Australia titled Traditional Stories and Contemporary Art to Promote Multi-Literacies.This is based on the storytelling based arts projects Roman and I have conducted over the past five years, and it is posted on my website if you would like to learn more about our work. I am happy to tailor performances to address curriculum outcomes. You are welcome to visit our website or email me for further information about how I can best fulfil your storytelling preferences. A crowdsourced collection of over 100 essays from around the world about trends in school libraries written by librarians, teachers, publishers, and library vendors. Edited by Kristin Fontichiaro and Buffy Hamilton. Foreword by R. David Lankes. Photographs by Diane Cordell. 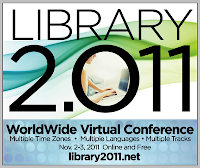 The inaugural (and free) Library 2.011 Worldwide Virtual Conference begins on Wednesday, November 2nd. More than 4,000 information professionals from 149 countries have signed up to join the global conversation on the current and future state of libraries. The groundbreaking event will be a whirlwind of information, with 160 presentations scheduled over two days! To register for the conference, join the conference website at http://www.Library2011.com. The conference welcome will start at 6:30 a.m. US-PDT on Wednesday, November 2nd, followed by the opening keynote by Library 2.011 Co-Chair Dr. Sandra Hirsh, professor and director of the School of Library and Information Science (SLIS) at San José State University. The conference will conclude with a final conference gathering at 9:00 p.m. US-PDT on Thursday, November 3 (November 4, in some parts of the world). All conference sessions are being held in Blackboard Collaborate (formerly Elluminate), and can be accessed live from any personal computer following instructions on the Sessions and Schedule page. Participants, presenters, and volunteers are encouraged to share your excitement for this global event. The conference Twitter hashtag is "#lib2011" and to download a variety of badges, please visit: http://www.library20.com/page/press-promotional. Those interested in volunteering will find information on the Volunteer Page, and potential sponsors still have time to sign up by contacting me directly. As a reminder, the conference will be held entirely online, is FREE to attend, and will be recorded. For more information, please visit: http://www.library20.com. My name is Yangsook Choi , a children's book author and illustrator living in New York City. I am writing to show my interest in visiting International Schools in Singapore as I will be in Singapore in late May, 2012. I have numerous experiences in encouraging children to read and write by readings, presentations, or workshops. Most of my books have multi-cultural and inter-cultural themes. My fee for a 45 min. presentation is 300 USD. A full day of 4 presentations is 1000 USD. Please visit www.yangsookchoi.com for more info. Need an excuse to come to Hong Kong? 21C Learning Conference 16th Feb to Saturday 18th February 2012 have called for submission of presentations http://21clhk.org/. Last year was the first year the Library & Information Literacy strand was offered and we had some great workshops and presentations. It would be great if we had a number of submissions across the broad range of the services & skills we offer to our learners. The conference is tech and digitally centered, so we need to offer workshops and presentations that reflect this. What are you doing in your every day practice that you could share? How are you using ipads in the library or even across the school? How are you adopting e-readers and e-books? How are you working with teachers? What excellent tool or app have you used to great success to promote reading? How are you best using databases? How do you use the OPAC to help connect students with your resources? What about your library website? How have you organized to be part of the digital team at your school? Do you use twitter? Diigo? Google reader MS word citation tool? Easy Bib? Noodletools? Can you share what you do with them? Have you looked at the 21st century Librarians manifesto? How are you doing? Can you share your journey? http://informationfluency.wikispaces.com/You+know+you%27re+a+21st+century+librarian+if+.+.+. What about copyright, creative commons and fair use? 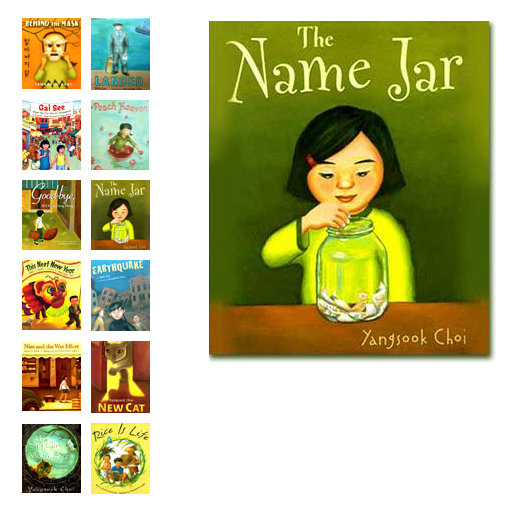 How are you promoting second language learning through your library and digital means? How are you learning yourself through digital means? How are you using youtube? Are you making video tutorials for your students or finding ones that have already been done? These are just some ideas - you may be doing other things, please consider submitting what you are doing in your best practice. Workshops are generally well received where people are hands on, however, sharing of what you are doing gives ideas to others. Please consider submitting something to share through the above link to the conference page. Registration will open on November 15th at the same link for people who are not presenting. 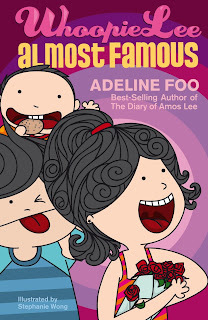 AUTHOR VISIT: Funny and Fabulous Reading Tour: 28 November to 2 December 2011! Subject: Funny and Fabulous Reading Tour: 28 November to 2 December 2011! Hello again - the dates for my Singapore visit are now fixed and here is the information! It's been a fabulous Year of the Rabbit, and this year's Chinese Calendar Tale bunny has been hopping around schools as far flung as Hong Kong, Shanghai, Beijing and London! 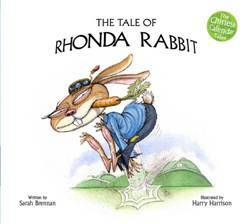 The Tale of Rhonda Rabbit features one bad bunny:- a rabbit who insists on raiding the vegetable patch of the mighty Emperor Qin Shi Huang on a nightly basis, leaving the Emperor (who loves his greens) in a state of rage and utter despair! And so the royal decree goes out across China:- somebody or something must stop that rabbit! Set at the end of the Warring States period some two thousand years ago, the story echoes the true story of the Emperor Qin Shi Huang, first Emperor of China and the Hiong-Nou, descendants of Caucasian horsemen and ancestors of the Huns, who rose to prominence on the Chinese northern border at that time, and who raided and pillaged the rich farmlands of northern China. The Tale of Rhonda Rabbit was long-listed for the Red Dot Book Award in Singapore this year. Please note that my books are not your usual picture books for little ones! Each story is written in fast-paced rhyme, with lots of hidden jokes and word play, and filled with funny, gorgeously-coloured illustrations by Harry Harrison. My stories appeal to children between 6 and 11 years, or Grades 2 to 6. For the younger kids the pleasure is in the story and colourful pictures; for the older students the enjoyment (and the challenge!) is in the detail with lots of interesting vocabulary and hidden jokes in the illustrations! We end each session with a Q and A where we can talk more about being an author and the writing process. Each session takes between 40 minutes (reading plus short Q and A - ideal for Grades 2 to 3) and one hour (more time for discussion included for Grades 4 to 6). I can do up to 5 sessions in a day (depending on session length), with session numbers ranging from single classes to full assembly halls! For Grades 4 to 6, I also can offer my Wacky and Wonderful Workshops. These include: How to Write a Really Riveting Story; An Introduction to Poetry and Publish Your Own Book from Brilliant Idea to Final Product and last between 30 minutes for Whistlestop Workshops to one hour for Workshops including exercises. They're colourful and great fun and the perfect way of encouraging kids to plan, edit and polish their work properly! I can do up to 4 x one-hour or 5 x 30 minute Whistlestop sessions in one day. You'll find full details about all the sessions as well as testimonials on the School Visits page on my website at www.sarah-brennan.com. All bookings include two complimentary signed copies of The Tale of Rhonda Rabbit for your school library. FEES: 1300SGD per day including airfare and accommodation. Please let me know as soon as possible which date you would like me to reserve for you! 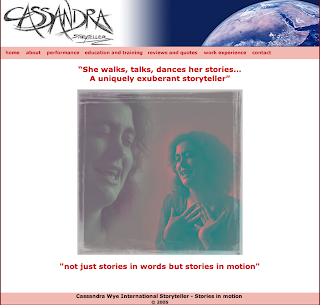 I am emailing to introduce you to myself and my work as a Storyteller - Performer, Educator and Trainer with educational establishments around the globe. I shall be returning on tour of Singapore November – December 2011. See below an email I received recently. I haven't met up with Stacey yet, but intend to. Meanwhile, if you're interested, you might contact her directly. My name is Stacey Zolt Hara, and I am the author of the Travel with Bella series. I am based here in Singapore and am interested in partnering with UWC as a visiting author. 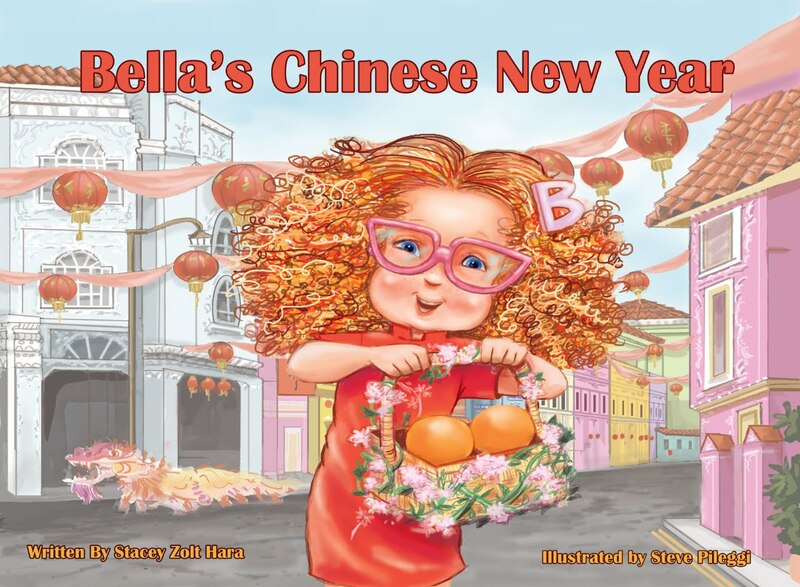 The Travel with Bella series launched last May with "Bella's Chinese New Year," a picture book targeted to kids 3-8 years old. An American girl living in Singapore, Bella is celebrating Chinese New Year at her school with a big party and we are all invited along. With her infectious smile and zest for life, Bella connects with the people and culture around her, making new friends and learning through her experiences. Appreciative of Singapore's customs and traditions, Bella guides us through orange exchanges with friends, the magical wish of a Lo Hei salad and the surprises kids find in shiny red envelopes during the New Year. Bella captures kids' imaginations, leaving them asking, "Where's Bella going next?" and "Can we go too?" The books foster a conversation between parents and kids and arm today's globally mobile families with a way to help make all that travel shape their kids' minds and hearts. 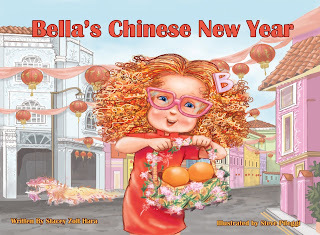 "Bella's Chinese New Year" has received tremendous reviews from critics and, most importantly, parents, as a book which entertains while teaching lessons that stick, leaving the kids wanting more. You can see what parents are saying on Amazon at http://www.amazon.com/Bellas-Chinese-Year-Stacey-Zolt/dp/9810881274/ref=sr_1_1?ie=UTF8&qid=1317958234&sr=8-1. 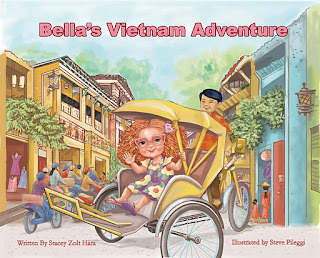 The second book in the series, "Bella's Vietnam Adventure," is slated for release late November. 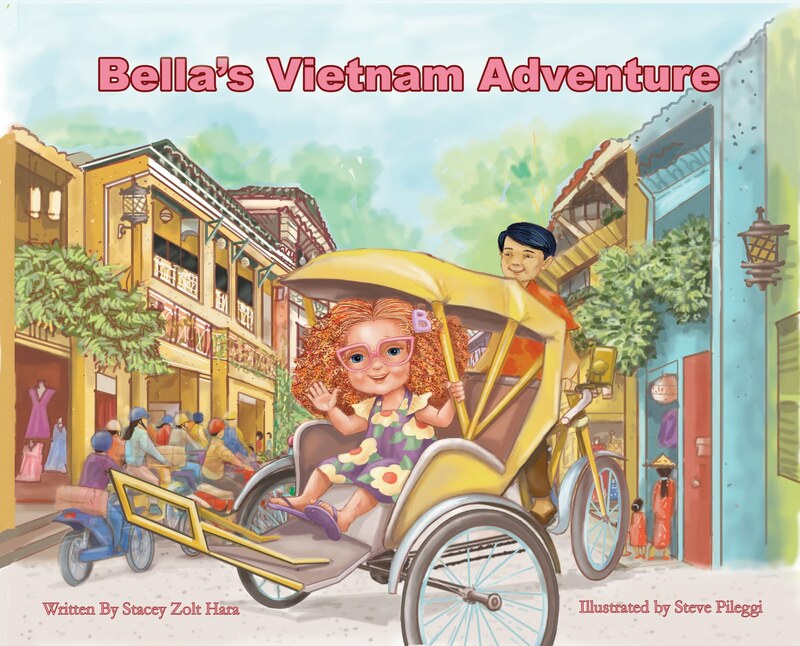 In this book, Bella and family are back, touring through Vietnam in Bella-tastic style. As a five-year-old accustomed to her own rules and routine, Bella must adapt to life in Vietnam – figuring out how to cross the street when there's no cross walk, how to bargain with a street vendor and what to eat while away from home. She quickly learns that an open mind and a bit of courage lead to a super adventure. The Travel with Bella mission is a great fit for UWCSEA's values as a school which builds global citizens. You can learn more about the series and read media coverage at www.travelwithbella.com. You can also find us on Facebook at www.facebook.com/travelwithbella. Please let me know if you would like to meet to discuss further. I'm happy to pop in to your office to chat. Great to hear from you. That's great news about the Red Dot Short List! Terrific! 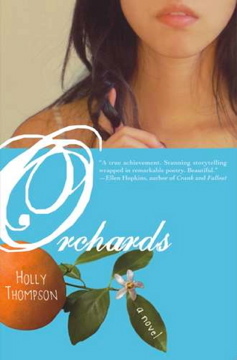 Here is an Orchards book trailer made by ASIJ library intern Ellen Yaegashi; feel free to share and post. Thank you for asking me to come to Singapore. I'm just beginning to sort out plans for 2012...I have been under heavy deadline pressure to complete a new novel on top of my Tomo anthology--see cover and contributors at http://tomoanthology.blogspot.com. Tomo will be published in March 2012 to coincide with the one-year anniversary of the earthquake and tsunami. My next novel is due out Spring 2013. I'm not sure that I will make it to AFCC this year, but I'd be happy to come to Singapore for school visits if several schools could share airfare and accommodation. Best time for me would be sometime in mid to late February; early March might also be possible. Please let me know if there might be interest. I would be happy to do presentations related to Orchards, Tomo and The Wakame Gatherers. My fee is US $400 per day for up to 5 classes. Anyway, let me know your thoughts. I have two distributors listed here. Either one, depending on who's available to meet the expat schools' request. Marketasia Distributors is the publisher's main distributor. Eduworks arranges school talks for several authors, including me. Hope this helps. Attached is an updated book cover, the one you're using was released before the book was printed. Adeline was pleased to hear she was on the Red Dot shortlist for Younger Readers this year. Thank you very much. The students from BIS, Phuket will be thrilled. They're reading this book as part of a library programme, Monica is arranging for us to skype with her students two weeks from now. I'll make time for talks to promote the Red Dot shortlist. We have more stuff to talk about, since Amos (and hence Whoopie) is going on TV. Many of you are already members of SILC-Asia -- the School International Library Cooperative ASIA, an EARCOS (East Asia Regional Council of Overseas Schools) affiliate. During this conference, not only did we all attend some great technology workshops on everything from GoogleApps, to Twitter, to Creative Commons and digital media, but we also had the chance to meet four times as a cohort to discuss technology in the library. We talked about e-books, the role of the librarian, the library program (curriculum) and shared great technology tools and ideas. In particular, we talked about Personal Learning Networks (PLNs) for librarians – how are we communicating with each other, sharing and learning from each other? Of course, SILCAsia came up as a great forum for doing just this! We hope to continue using this Yahoo! Group, as well as the SILCAsia wikispace http://silcasia.wikispaces.com/ to share good practice, including ideas on buying and using ebooks, authors coming to Asia, programs in place in libraries around Asia, consortium pricing, and other topics of interest to us as librarians in international schools in Asia. o People Map – put yourself on the map! It would be great to see where we all are in Asia!! Please share these links with other librarians in the region. The larger the group, the more resources we can tap into to make school libraries in Asia dynamic and cutting edge! I am interested in any speaking engagements in Singapore as I live in Bali and have frequent 'visa runs' to Singapore. As my CV will attest I am a widely published author/screenwriter with vast experience talking at schools. I have recently spent very successful days at GJIS and BIS in Jakarta and am appearing at the Ubud Writers and Readers Festival this weekend. As I am not going through an agent I'm sure any of your schools will find my rates very reasonable! 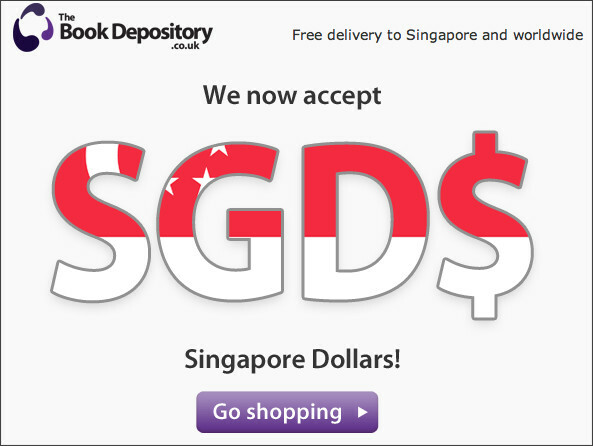 Thanks, Ben, for alerting us to Book Depository now accepting Singapore dollars.